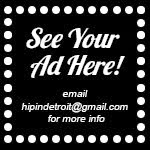 Hip In Detroit: Not Your Normal Easter Egg Hunt! Pheasant Egg Hunt! Not Your Normal Easter Egg Hunt! Pheasant Egg Hunt! Easter is right around the corner, but before you have a day full of family, ham, and Deviled Eggs you have a chance to do Easter a week early. This one sounds a little more fun too! 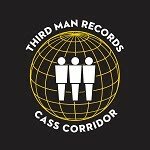 This Sunday, April 13th is the Pheasant Egg Hunt at The Old Miami. Don't worry, this is not some big game dinner where you are eating the eggs of Detroit's Pheasants. Instead it is an adult Easter egg hunt in the backyard of The Old Miami. 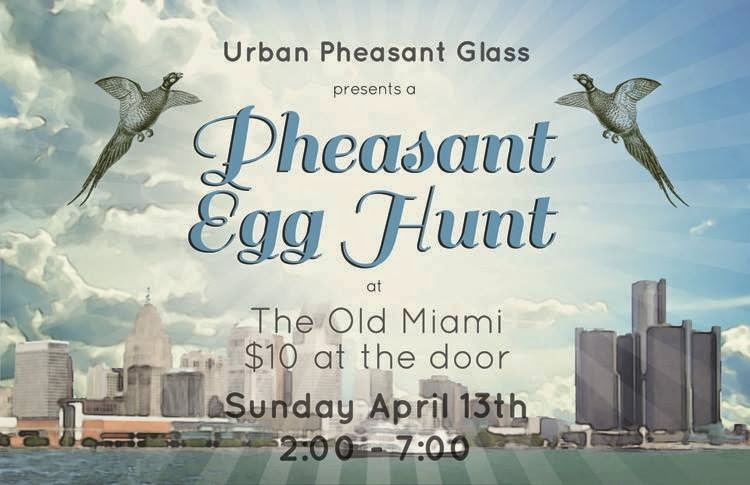 This super fun event is being put on by Urban Pheasant Glass (hence the name) and it isn't your normal egg hunt. Rather than finding plastic eggs full of candy or colorful, yet stinky, hard boiled eggs, attendees will be searching for eggs that will then be traded in for great prizes. Eggs will be hidden around the yard and each one will have a number on it that corresponds with glass pieces and other goodies from Urban Pheasant Glass as well as other local artists and vendors. Admission is $10 at the door and you must show your ticket in order to receive a prize during the hunt. 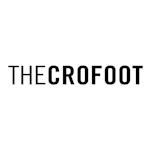 The prizes will range in value from $5 to over $250. There will be 3 hunts throughout the day, with the first starting at 2 p.m. In addition to the Egg-citing hunts, there will be vendors and DJs there all day too! The Old Miami is located at 3930 Cass Avenue in Detroit. For more details on the Pheasant Egg Hunt, check out the Facebook event page here. To check out the goods from Urban Pheasant Glass visit them on Facebook and check out the Michigan Glass Project.